Rebecca Huntley, one of Australia's most experienced and knowledgeable social researchers, tackles the biggest social questions facing Australia now: Why do we fear asylum seekers? Why are women still underpaid and overworked? Why do we over-parent? Why do we worry even though we are lucky? 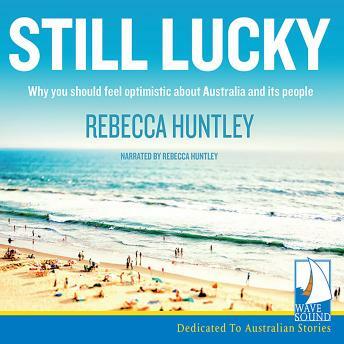 Still Lucky is a broad-ranging, wise and compelling look at who we are now and where we are heading in the future, from someone who knows what Australians are really thinking.